A Houston gang member known as “John Gotti” was sentenced Monday to life in prison for the murders of three people in a home invasion. Brodrick Bell, 24, was convicted in the fatal shootings of three people at a north Houston home in 2015. HOUSTON — A Houston gang member known as “John Gotti” was sentenced Monday to life in prison for the murders of three people in a home invasion. 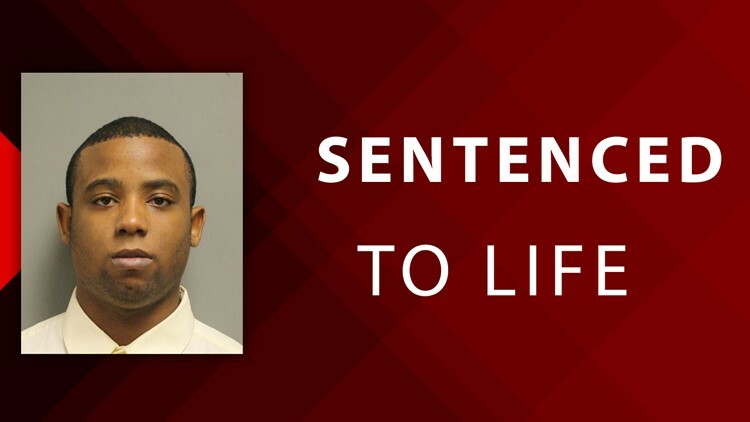 Brodrick Bell, 24, was convicted in the fatal shootings of three people at a north Houston home in 2015. Officials said Kiara Jackson, 22, her boyfriend, DeMarquise Edwards, 23, and 20-year-old Terrell Paynes were shot in the head. Police said Bell and two other men stole cash, drugs, a cell phone and a wallet after the murders. A jury convicted Bell and sentenced him to life in prison without the possibility of parole. Celvin Wayne Brooks, 21, was convicted for the murders in 2018 and given the same sentence. The third man is awaiting trial.